A generalist wine yeast. It ferments very fast and crisp, leaving little to no flavor of yeast behind. 1118 can be used for nearly any style of wine and makes a decent hard cider. Krausen It has a very high tolerance for alcohol and can ferment up to 15% alcohol by volume if given enough sugar. 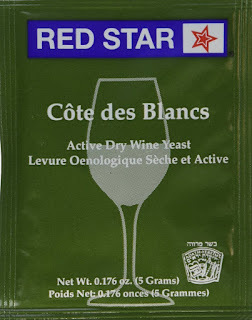 If you're new to homebrewing, this is a good starter yeast for making juice or hard cider. A workhorse American ale yeast. I've used for a variety of beer types and ciders. It's perfect for making IPAs, Pale Ales, and Amber Ales in particular. If used to make hard apple cider, it imparts a slight pale ale taste to the finished product. 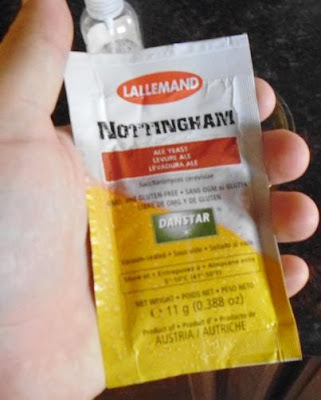 An English Ale yeast. So far I've only used it in some ciders. It ferments extremely quickly and leaves only a small mess. Compared to Safale US-05, this yeast leaves more of a fruity, apple flavor in the finished product. 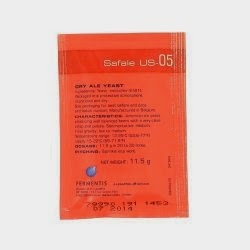 Liquid yeast strain similar to Safale US-05. Very reliable and clean. Normal krausen. Good strain for making hoppy beers like IPAs and pale ales. Liquid yeast that can make a variety of English beer styles. Ferments fast and leaves a low profile. 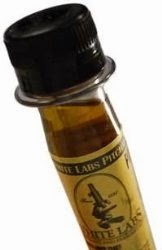 Tends to produce some sulfury smells if used to ferment darker beers, but less than WLP023. Similar to Safale S-04. Burton Ale Yeast is a monstrous strain. It starts off very slow, but eventually turns into an erupting volcano. The krausen rises high; leave enough headspace in your fermenter with this yeast unless you like cleaning gunk off the ceiling. Perfect yeast for English style bitters, brown ales, and porters. Currently being tested on a new batch of cider, this yeast smells a bit like bread yeast. A simple wine yeast being used to ferment my Maple Mead. Smells similar to bread yeast. It is primarily used to ferment wine, but can also be used to make cider. 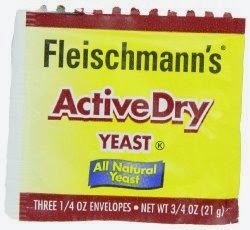 Fleishmann's is the most common yeast you'll find in any grocery store. It works very fast at converting sugar to alcohol. However, any liquid you try to ferment with this will taste like bread. There is only one reputable homebrew recipe that I know of that requires bread yeast. In the era of online shopping, it's relatively easy to get a more suitable brewing yeast to yield better results. Recommended for making bread dough.